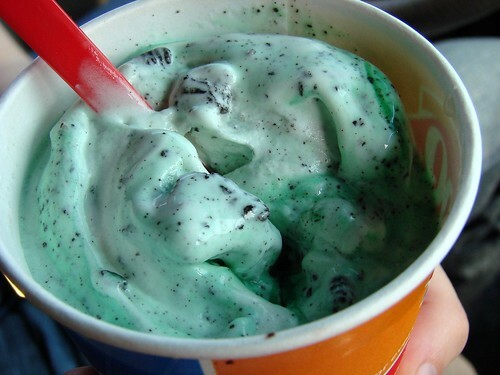 Blondie and Brownie: It's 25¢ Blizzard Treat Week! As a card carrying Blizzard Fan Club member I got an email with all the details...so here's the deal: all this week through Sunday, April 25th when you buy a Blizzard at regular regular price you get another for just 25¢ Blizzard Treat Week--no coupons required. Small print disclaimer--this is good at participating locations in US and Canada only and offer applies to regular price Blizzard treats of equal or lesser size. Unfortunately for New Yorkers the closest DQ is in Jersey City. If you're outside the city, click for the location nearest you. this blizzard treat is great and i had that before at the dairy queen and snowstorm blizzard is way much different story.